With the evolution of the cloud technology, traditional software is becoming obsolete and SaaS products are experiencing a surge in demand. But there is tremendous competition out there for your SaaS company. You are on the lookout for ways to expand your reach to cut through the noise. You might have come across 20-30 reasons on why you should do A/B testing or why content is the king but those strategies merely scratch the surface. You need to dig a little deeper to find growth hacks that will really give a push to your brand. To premium or freemium? That’s the question. A freemium model offers free access to some or all of the features, without a time limit. The key to a successful freemium model lies in a fine balance of offering just the right amount of features and gating the rest. However, the monetary gate should only be placed once the user is “ready” to pay for your product. Freemiums come with multiple benefits. They make your product more accessible. Also, the bloggers who try your product for free will spread a good word about your brand. Various brands have reaped multiple benefits from a freemium software model. Take the case of MailChimp. It is an email marketing platform that allows you to automate your marketing. They offer a basic account which allows 2000 subscribers and 12000 emails (per month) for free and you have to pay some amount if the number of subscribers or emails goes beyond this. Definitely a great example of putting up a gate at the right point in the consumer’s journey. Freemiums are useful in putting your product to a wider audience but it is essential to optimise this strategy. Here is a list of 7 fremium structures that you can use. 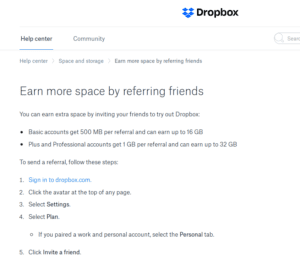 Remember how Dropbox offered more free storage every time you referred a friend? It is the best example of utilising the “refer your friend” feature. By equipping your customers with the power to promote your product, your marketing efforts are greatly reduced. 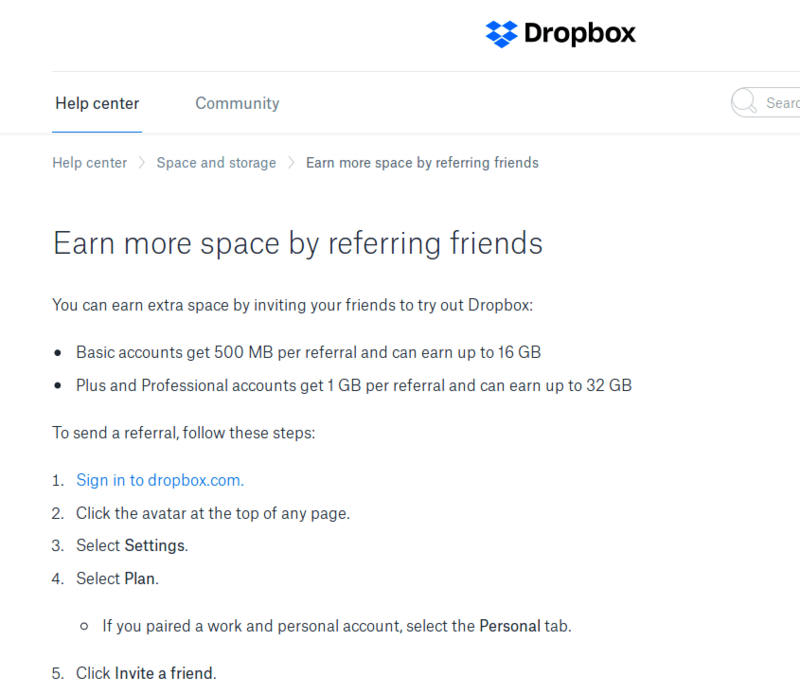 Through just referrals, Dropbox increased its signups by 60%. When you involve your customers in your marketing strategy and carry out your referral campaign through them, it involves more trust as compared to other sales strategies. The user onboarding process can be empty if your audience fails to see any value in the product. This is where webinars come in handy. Webinars can allow you to showcase your expertise and to move a step beyond and make you thought leaders. With a hybrid approach (pre-recorded and live webinars), you can guide your users and answer their queries. Not only do webinars engage more sense than blogs or videos, they also promote a sense of trust. For most brands, it is easier to get lost in the digital purgatory. Webinars can be your way out of that. You will no longer be just another faceless entity in the industry. With webinars, you can not only ease the decision making process of the prospective buyers but also reach out to your existing customers and build better relationships. You have earned a customer who has subscribed for your paid plan. He loves your product and is unlikely to leave anytime soon. But then involuntary churn happens. The automatic credit card billing fails because the customer’s credit card expired. This scenario would be different if you had a “disaster management plan” in place. You can depend on services like Churn Buster or Baremetrics. These SaaS services can eliminate the involuntary churn problem by either attempting to automatically update the expiry dates or sending out friendly email reminders to customers, asking them to update their billing information. This growth hack works by fighting a primary factor that causes involuntary dropouts. Here is a compilation of six practical methods to fight this churn. The growth of your SaaS product is dependant on a number of factors. From a hassle-free onboarding to purchasing and retention, you must invest efforts at every stage of your marketing funnel. 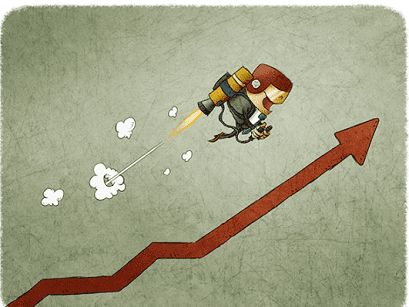 Giving out freemiums to bring in users, hosting live webinars to engage prospects and existing customers, repurposing your content to fuel your content strategy; these few steps can take you up the growth ladder. The most important thing is to engage your audience and connect with them. What is Blockchain Technology ? Why should health care industry invest in Blockchain Technology.